Prominent & Leading Manufacturer from Ahmedabad, we offer filtration plant, ro water plant, ss ro plant 1000 lph and water purification system. 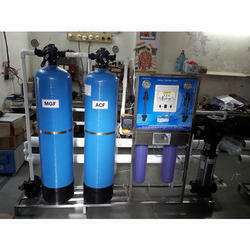 We are offering Filtration Plant to our clients. 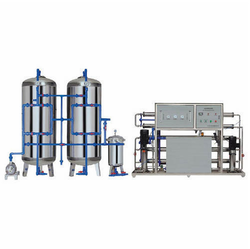 We are engaged in designing high grade Drinking Water Filtration Plant that is made from quality raw materials. It treats raw water, which contains undesirable sediments, color, algae and other harmful organisms. Thus, provides safe water for drinking. In this, PAC is injected into the water to adsorb odors and toxic compounds produced by the algae followed by the conventional process, which removes it. The mixture of water and chemicals is strongly agitated in second time before being distributed by a channel into one of the three flocculation tanks. Here, large horizontal paddles rotate slowly to encourage the floc to form and grow bigger. From the flocculation tanks, the water moves into the sedimentation tanks. As the filtration plant slows down these tanks, the large particles settle to the floor under gravity. We offer these in three major types, which are grey water treatment plant, iron removal filter plant and cartridge filter plant. 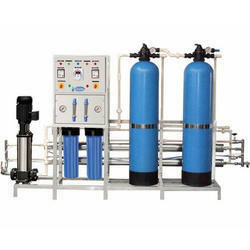 We are offering RO Water Plant to our clients. 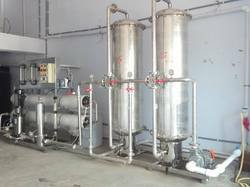 All Pack Engineers is providing SS RO Plant for purifying 1000 Liter product water during one hour and the machine is permitted in Bis for ISI Numbers also.Our SS RO Plant 1000 LPH is one of the most widely demanded water plant across the industry. These plants adhere with various industry norms and are known for flawless filtration of water that these assure. Our plants also ensure that necessary minerals that provide taste are retained while filtering the water. All our various R. O. Systems are designed & manufactured in such a way that, the plant causes no leakage, less noise, attractive in look. Our industrial RO system is easy to install and appreciated for their easy installation, excellent performance & low power consumption.